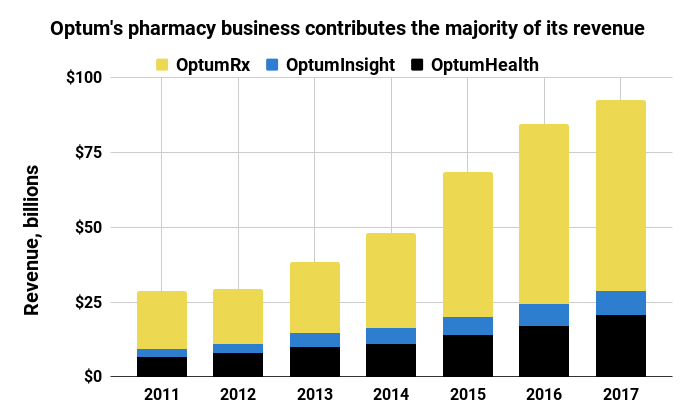 Healthcare’s confluence of unknowns and erratic overtures coming out of Washington has stalled many healthcare biggest stakeholders—payer, provider, and pharma. Success in transformative, threatened markets requires companies to continually reassess strategic direction: anticipate and absorb change, generate situational-driven strategic insights, and act with deliberate speed. Healthcare leaders need to step back, ask tough questions, and manage through a new set of obstacles to capture opportunity. For healthcare marketers it’s a time to rethink basic assumptions, challenge institutional bias, breakdown silos, and force debate around longstanding approaches to marketing. Tomorrow’s marketers will be healthcare orchestra leaders. They will help set strategic pillars, sequence strategic execution, and lead go-to-market implementation that is results-driven and measurable. 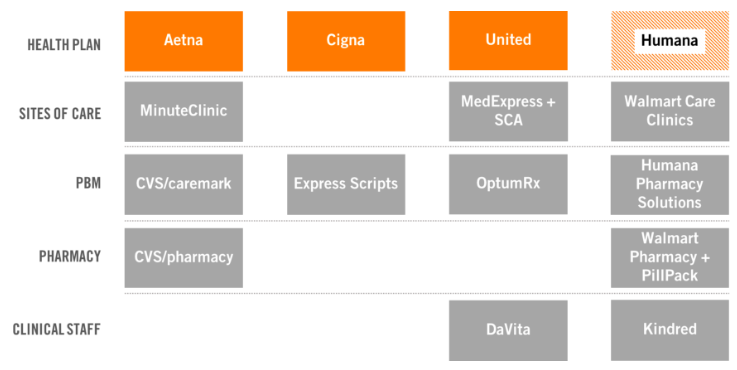 Payers–providers blurring the lines. Its healthcare’s Wild West as health insurers become providers and health providers become payers. With spending for hospital care and total private health insurance expenditures each topping $1 trillion, paying for and delivering health services is truly in a transition. Health insurers, are venturing into primary care centered delivery models, value or outcomes-based payment schemes, retail-type customer experiences, and innovative frameworks fostering prevention and wellness. 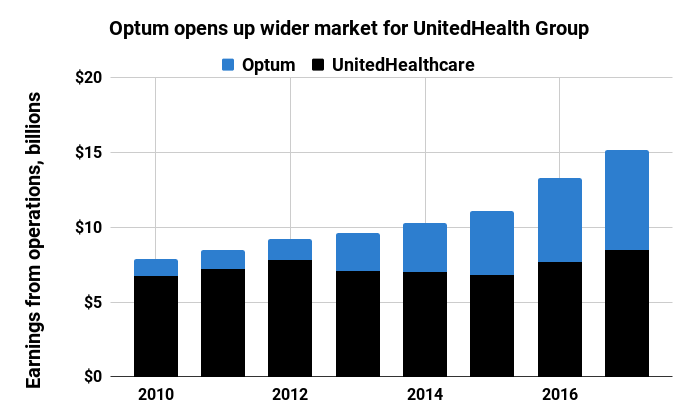 Equally as robust is the trend of hospitals getting into the insurance business in an effort to take control of the complete patient lifecycle. We’re even seeing payer-provider collaboration and joint ventures get traction around value-based care, direct primary care, digital patient communities, and chronic or behavioral care management.For healthcare marketers this is often unchartered territory. Insurers are used to looking at customers as members; hospitals look at them as patients. The marketing continuum of awareness to acquisition to experience to loyalty is very different for both sets of these customers. Each takes a diverse mix of brand, direct and content marketing, as well as customized customer experiences. For hospitals tackling the ‘business of insurance’, selling and retaining health plan members is very different from traditional hospital-patient marketing. Similarly, as insurers acquire or launch provider organizations, whether retail primary care, urgent-care clinics, or hospital service centers, marketing challenges such as service-line marketing, physician engagement, and community-based branding require new approaches. Navigating an out-of-pocket ecosystem. At a time when one-in-three Americans say healthcare is the biggest financial burden they face, high-deductible health plans (HDHPs) have gone mainstream. HDHPs are approaching half of all employer-based coverage and almost all individual policies. This shifting financial burden creates an out-of-pocket ecosystem forcing consumers to take a close look at their healthcare budgets. It’s the fuel of the healthcare consumerism movement. Once consumers find themselves in control of spending health dollars out of their own wallets, you get their attention. However, buying healthcare services—from insurance to prescription drugs to routine check-ups to MRIs—in a ways similar to other consumer goods isn’t easy given health literacy disparities and inconsistent access to consumer-centric resources, plus…“Nobody knew that healthcare could be so complicated.”For healthcare marketers this means recognizing that retailization of healthcare is here to stay. In fact, 2017 may go down as the year of the ‘Amazonification of Healthcare’. Marketers cannot underestimate healthcare consumers’ willingness to comparison shop if it means they can save money. Shopping for healthcare may not be the same path-to-purchase as other necessities, but for most Americans it’s one of the most important buying decisions they make. They compare products and services, ask friends, read and publish reviews, price check, and quickly cast aside brand loyalty for a better deal. Being a smart healthcare shopper able to make confident, value-based choices isn’t easy. That’s where marketers can play a critical role: create reliable, understandable information and decision support tools to help consumers navigate healthcare’s massive maze of bureaucracy with confidence. Healthcare consumerism, a dilemma of health inertia. We live in a nation where 190 million people have at least one chronic condition. These patients account for $3 out of every $4 spent on medical care. Still, most people believe they are significantly healthier than they are, lessening their interest in taking action to improve their health. Millions of dollars and countless hours are spent each year to try to get healthcare consumers to do what’s good for them. It’s a long, slow slog that sees only modest behavior change. It’s the dilemma of ‘health inertia’…getting people to face personal health challenges, adhere to a plan of action, and stay motivated to proactively deal with their health. Preferred healthcare brands are those that forge emotional relationships with consumers to motivate better health decisions…they’re brands that understand that nothing is more personal than someone’s health.For healthcare marketers this means knowing what’s important to people, what truly matters to them and why they do what they do. Changing behavior takes moving away from company-centric educational-based efforts overloaded with clinical messaging about conditions and treatment options. 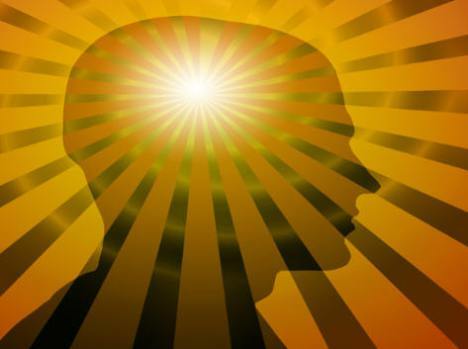 Cognitive research shows that consumers’ perceptions and emotions have the greatest influence on their actions. To affect behavior change, marketers need to shift their orientation from education to inspiration, from features and functions to gut-level appeals that move people to act and engage. It’s about connecting across the customer lifecycle around personal, relevant motivations and deep, sometimes even unconscious desires, like freedom, happiness, personal goals, or the ability to be a better parent or partner. Social engagement is king and content is queen. Social media cuts across every customer segment and every aspect of the customer relationship. every minute there are 452,000 tweets sent, 120 new LinkedIn accounts created, 46,200 Instagram posts, and 900,000 Facebook logins with more than 50% on a mobile device, according to Business Insider. Healthcare companies are creating social communities to connect, collaborate and communicate with consumers. Patients are bonding with their network of providers, insurers are servicing their members, and population health management programs are deploying social apps for measuring, monitoring and tracking conditions. Inspiration is coming from healthy reward programs, community competitions, and gamification. And, patient-to-patient dialogue has never been greater through crowdsourced social health networks such as The Mighty, PatientsLikeMe, and CureTogether. For healthcare marketers social media is a critical tool to extend reach and enhance engagement. More than 65% of chief marketing officers say they use social media to drive business and build their digital brand. Done well it boosts awareness, generates new business leads, and builds more intimate, connected customer relationships. Purpose-driven healthcare social media comes down to a brand’s respect for the importance of content. Today’s perpetually connected consumers are impatient. Their most valued brands engage with them in an evocative, relevant dialogue. They look for social media content that is shareable, fresh, unique, and above all, worth reading. Its compelling healthcare content that attracts their interest and holds their attention around a personalized, interactive value exchange. Value is in the eye of the beholder. Truth be told, value-based care is a trend that has appeared in previous years, however as momentum continues to build, it needs to be highlighted once again. Pay-for-performance reimbursement—from basic risk sharing to accountable care organizations to bundled payments—are rapidly moving healthcare toward outcomes-based financing system. Incentives and disincentives based on quality of care and patient clinical results are the new normal. That said, moving from volume to value-based payment alone is not enough to bend healthcare’s cost curve. Payers and providers must add to the mix solutions to address social determinants of health, those circumstances that people are born into and live in that impact them as patients. While it complicates pay-for-performance, it’s critical to achieve the right balance between reimbursement schemes and social forces such as poverty, guns, violence, trauma, racism, and inadequate education. For healthcare marketers the challenge is bringing key stakeholders along for the ride. Moving from traditional fee-for-service to value-based payment means answering the question “what’s in it for me?” Not only for patients, but equally as important are the providers of care responsible for living within the guardrails of high-performance, consumer-centric healthcare built on new models of financing, care delivery, and patient engagement, and measured on cost and quality of clinical outcomes. Marketers must use successes to demonstrate the value in value-based care, and use any failures as lessons learned. Innovation disruptively disrupting market disruptors. Innovation is sweeping across the healthcare landscape. Over the last six years there has been more than $18 billion invested in healthcare technology ventures with 2017 going down as the largest year ever for digital health funding. These companies, labeled HealthTech, MedTech, or FinTech, are seeking to reduce health expenditures, improve quality of life, introduce infrastructure efficiencies, increase individual productivity and extend life expectancy. Both startups and established companies alike are seeking to leverage technology to empower patients. Consumers are adopting and using technology to take ownership of their health, so it’s easier to self-diagnose a condition or symptom, change a health habit or behavior to reach a goal, enable compliance with a course of treatment, and interact with their community of care providers. For healthcare marketers, innovation isn’t just a substitute for brand narrative or value proposition, it’s a means to an end. Simply stating ’we are an innovative company’ won’t cut it. The storyline has to read…we are an innovative company that delivers value to our customers, improves health outcomes and does it in a way that changes healthcare delivery. Entrepreneurs and risk-takers are making stunning advances in cancer, Alzheimer’s, population health, and wellness. And, they’re the agile innovators breaking down barriers with wearables, blockchain, artificial intelligence/AI, Internet of Things, and precision medicine. If storytelling is the new marketing, marketers will have a treasure trove of material to draw from in this era of digital health technology. Healthcare marketers have seen sweeping changes over the last few years. Gone are days where ‘product, price, place, and promotion’ is the ultimate marketing framework. As healthcare marketers face full-blown marketplace transformation, there’s a new priority: the need for marketing to have a power seat at the c-suite business strategy table. Why? 72% of CEOs believe the next three years will be more critical to their industry than the last 50 years—and the question is how many are ready, according to KPMG. Marketing can no longer take a functional or tactical focus, it has to expand its influence and integrate with leadership’s vision-driven corporate business strategy. According to the National Conference of State Legislatures, at least 22 states have some kind of gag rule legislation. One way patients can get around this is to ask, but few people think to do so. Ross and colleagues decided to see what would happen if Medicare patients just took advantage of Walmart’s program offering $4 generic prescription drugs. They looked at Walmart’s generic list for drugs commonly used to treat heart conditions, including high blood pressure and high cholesterol. “Next, we used Medicare prescription drug plan data from June 2017 to determine beneficiary out-of-pocket costs for the lowest-priced dose of each drug in each plan,” they wrote. They got data on more than 2,000 Medicare prescription drug plans, including Medicare Advantage plans. 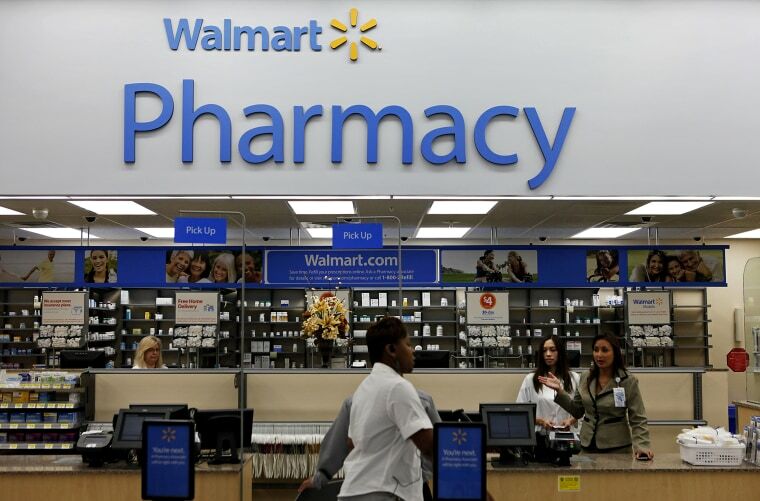 Overall, 21 percent of the plans asked patients to pay more out of pocket for the drugs than they would pay if they just got them for $4 at Walmart, the team reported. Medicare Advantage plans were the most expensive for patients, Ross said. And the higher-tier programs were the worst, he found. “Twenty percent of the time, at least, we should go to Walmart,” Ross said. It doesn’t help that Medicare is very complicated. Patients can choose from dozens of different plans, depending on where they live, and it can take a great deal of research to find out which plan is most likely to cover a particular person’s health conditions for the least amount of money. “Each Medicare drug plan has its own list of covered drugs (called a formulary),” the Center for Medicare and Medicaid Services says on its website. Ross said it is time-consuming to compare one Medicare plan to another. But understanding one of the many plans tells people very little about what the others might offer. “If you have read through the details and material for one plan, you have read through the details and materials for one plan. It’s very hard to compare,” he said. In addition, any given plan may change the drugs that it covers and their prices throughout the year. Ross said he studied Walmart because its $4 price for a 30-day supply of a generic drug seemed like the least expensive option, but other retailers also have inexpensive drug plans. Some grocery-based pharmacies even offer free drugs, such as antibiotics. These offers get customers into the store, and the hope is that they’ll buy something else while they are there. Ross said no patient should decide on a Medicare plan based solely on whether Walmart offers a better deal on prescriptions. Switching plans might not be the best idea, because different plans provide different levels of coverage for doctor visits, medical procedures and other health needs. “What we are showing is there may be some ways to save some money on some drugs by going to Walmart,” Ross said. According to the Kaiser Family Foundation, about 90 percent of prescriptions filled in the U.S. are for generic drugs. Most people get health insurance through an employer, and the typical co-pay for a generic drug for a patient covered by employer-provided health insurance is $11, Kaiser found. For a brand-name drug, the average co-pay is $33. 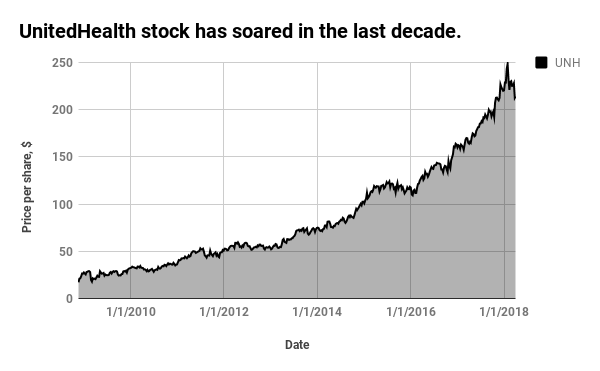 Walmart is moving aggressively to get a big share of the U.S. health care market. Besides having large pharmacies, stores offer free health screenings and the company has said it intends to expand its locations of retail walk-in health clinics. Walmart is also negotiating a closer partnership with health insurer Humana, including the possibility of buying it outright, according to CNBC. The discount retailer’s $4 generic prescriptions beat Medicare’s co-pays 21 percent of the time, a study found. An upcoming CFO roundtable provides a peer-sharing platform to learn best practices for advancing a healthcare organization’s financial health. Today’s healthcare financial leaders face escalating costs, quality improvement issues, difficult reimbursement environments, an increasingly complex service portfolio, and risk management associated with performance contracting. Pressure mounts on CFOs to ensure their organizations remain viable as they deal with these issues, which makes gleaning proven strategies from colleagues imperative. In pre-event planning calls, Exchange participants—representing integrated health systems, academic medical centers, community hospitals, and safety net providers from across the U.S.—want to know how others are taking on risk, improving costs, addressing consumerism, and capturing additional reimbursement. Since costs are increasing at rates higher than reimbursement, how does a CFO drive cost performance to maintain sufficient operating margins? How are systems successfully leveraging scale to rationalize administrative and support services? How can an independent organization survive in this environment? Should it consider other affiliations? For those involved in new entities, how are leaders achieving value? How does an organization prepare to take on and reduce risk, and when does an organization know that it is ready? How can CFOs build reserves to offset unexpected outlays? How can financial leaders improve payer terms, reduce denials, ensure payer compliance, and improve clinical documentation? What are effective ways to deploy new workflow technologies in patient accounts? How are organizations engaging medical staff to reduce the cost of care and improve outcomes? How does a health system minimize provider subsidies for employed physicians and improve practice performance? How can healthcare organizations compete against disruptors in the growing environment of consumer choice? What are creative ideas for meeting consumer demand without adding cost? Additional information will be shared during the two-day gathering. The CFO Exchange is one of six annual HealthLeaders Media events for healthcare thought leadership and networking. Recently, HealthLeaders Media hosted a Revenue Cycle Exchange, which brought together 50 executives to discuss improving the patient financial experience; maximizing reimbursement; managing claims denials; technology adoption and data analytics; revenue cycle optimization; and creating a leaner, more effective team. Noting how consumerism is influencing bill payment and giving rise to the patient voice, leaders are seeking ways to make paying easier. Consumer feedback suggested easy-to-understand and consolidated statements. “We have a single business office with Epic, so regardless of where a patient gets their services, they get one bill from our organization,” says Cassi Birnbaum, director of health information management and revenue integrity at UC San Diego Health. “We’ve also created a position for a patient experience director, so any complaint goes through that unit and they’ll contact one of my supervisors to ensure the patient gets the answers they need. That’s helped a lot and provides a one-stop, concierge, patient-facing experience to help ensure the patient’s balance is paid,” Birnbaum says. 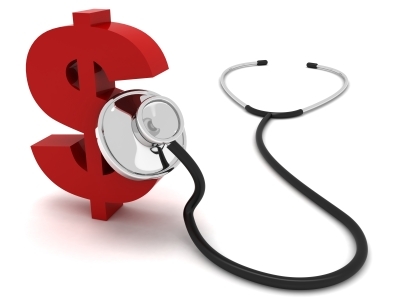 Providing estimates and leveraging technology are also helpful for fostering patient payments. More health systems are promoting MyChart, an online tool for patients to manage their health information, as well as kiosks in key locations. “We have a patient portal in which you can see any outstanding balance at a hospital or clinic and decide what you want to pay today,” says Mary Wickersham, vice president of central business office services at Avera in Sioux Falls, South Dakota. “Patients can also extend their payments since we have a hyperlink that goes to the extended loan program if needed. With kiosks at our clinics, patients pull out their credit card and complete their copay. Nobody asks; they just automatically do it,” she says. Front- and back-end staff play an integral role in calculating payment estimates, collecting dollars in advance of procedures and tests, and communicating the often-puzzling connection between hospital charges for physician practice and provider-based department patients. “One of our big challenges now is we’re bringing a lot of that back-end work to the front,” says Terri Etnier, director of system patient access at Indiana University Health in Bloomington, Indiana. As facilities move toward centralized scheduling systems to manage reimbursement, some facilities are centralizing coding and billing processes. “We don’t have a full comprehensive preregistration function for our clinics mainly due to volume. We’re piloting a preregistration group for our clinic visits to work accounts ahead of time since we are continuing to work toward automation,” says Katherine Cardwell, assistant vice president at Ochsner Health System in New Orleans. “We have kiosks in some of our clinics. Epic has an e-precheck function where we can now do forms. You can sign forms on your phone, and make your payment and your copayment ahead of time. And you can actually get a barcode that you can just scan when you get to the clinic,” Cardwell says.